Njandukalude Nattil Oridavela, the Nivin Pauly starring family entertainer is expected to hit the theaters as an Onam special release. Lead actor Nivin Pauly has been introducing the main characters of the movie through Facebook, from the past few days. Recently, Nivin revealed the first look poster of young actor Siju Wilson, who plays a pivotal role in Njandukalude Nattil Oridavela, through his Facebook page. Siju is appearing in the role of Tony Edayadi, in the movie. Actor-director Lal and senior actress Shanthi Krishna is playing the parents of Nivin Pauly's character, Chacko and Sheela Chacko. Njandukalude Nattil Oridavela thus marks the comeback of Shanthi into Mollywood, after a very long gap. The movie will mark the directorial debut of actor Althaf Salim, who has appeared with Nivin Pauly in Premam and Sakhavu. 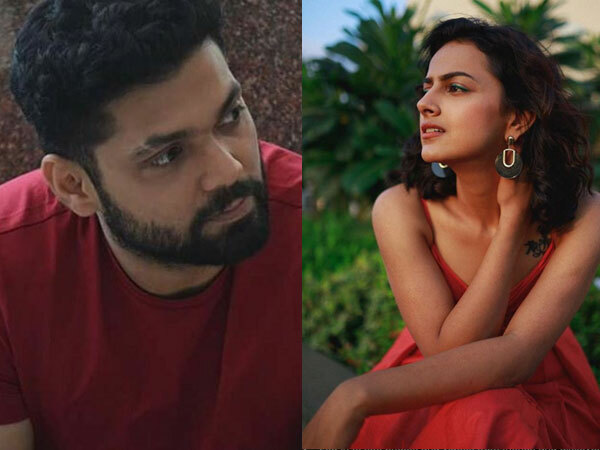 Debutante Aishwarya Lekshmi and Njan Steve Lopez fame Ahaana Krishna essay the female leads in the movie. Saiju Kurup, Dileesh Pothan, Krishnashankar, Srinda, Sharafudheen, etc., in the supporting roles. Njandukalude Nattil Oridavela is produced by Nivin Pauly himself, for Pauly Jr. Pictures.